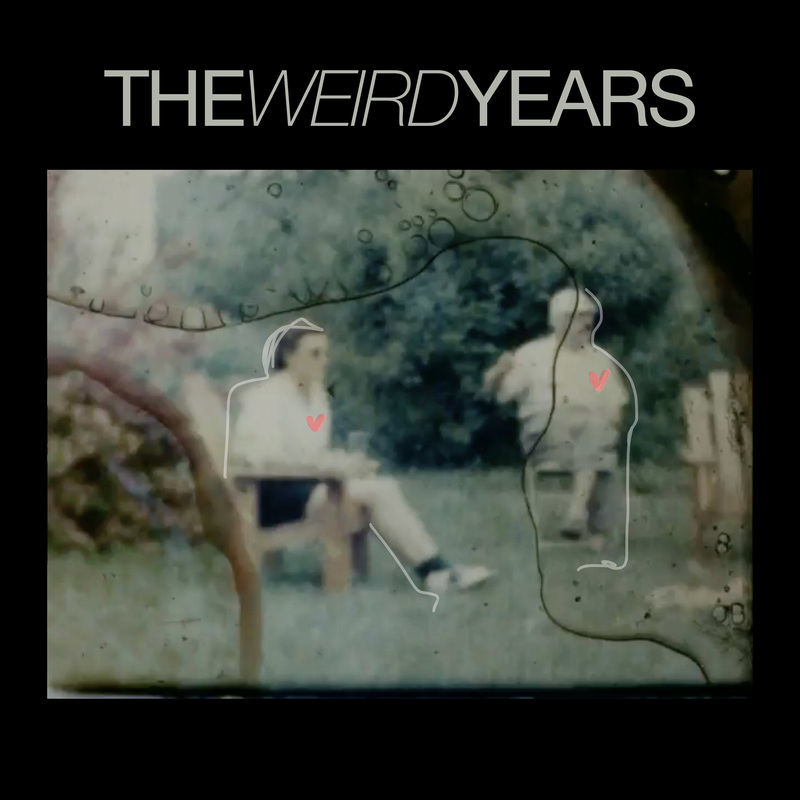 Indie supergroup The Weird Years dive into their self-titled debut, a breathtaking masterpiece channeling ethereal music into cinematic reflections on loneliness, isolation, and finding love, hope, and connection in dark times. If The Weird Years were to part ways after releasing their debut EP, they could rest easy knowing they had brought something truly special in this world. A breathtaking masterpiece, The Weird Years (independently out March 29, 2019) channels ethereal music into cinematic reflections on loneliness and isolation, love, hope, and connection in dark times. Consisting of Fort Gorgeous‘ Billy Libby, ex-Secret Someones Hannah Winkler and Bess Rogers, and A Great Big World’s Chris Kuffner, The Weird Years are well deserving of the “indie supergroup” title. 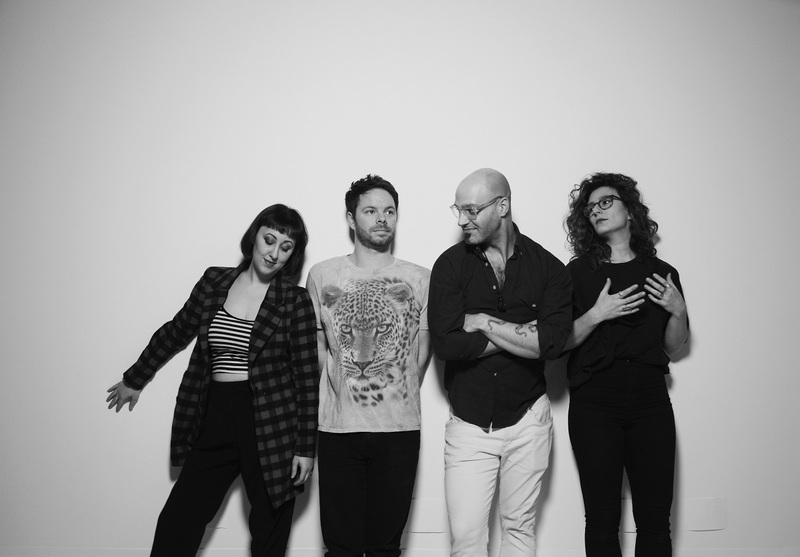 Each member of the Brooklyn-based quartet brings a wealth of talent and experience to the project, contributing to a unique sound characterized by sweet harmonies and dreamy folk-pop arrangements interweaving organic and electronic elements. What results is a truly haunting journey; intimate and achingly raw, The Weird Years will shake you to your core. In premiering lead single and EP opener “Stranger,” Atwood praised The Weird Years for their “message of finding strength in isolation, light in darkness, and love eternal.” Similar soul-stirring sentiments can be felt on the humbling “Ticking Time,” where unassuming acoustic guitar triads contrast against hearty piano melodies and booming bass work. There seems to be an underlying sonic assumption across these songs: That something can come out of nothing, and likewise that nothing can come from something. Each song’s path is unpredictable and unique, as is exemplified in the gracefully defiant “Body and Brain.” This natural volatility, combined with the band’s sheer creativity and prowess, helps to make The Weird Years an exciting, emotive, and consistently engaging musical collection. Atwood Magazine caught up with The Weird Years the week of their EP’s release to get to discuss ins and outs of this new and exciting project, and learn more about their first six songs. Experience the full record below, and peek inside The Weird Years’ self-titled EP with Atwood Magazine as the band go track-by-track through the music and lyrics of their breathtaking debut! How did The Weird Years form, and what's kept you together since formation? The Weird Years: We’ve all been friends for years and have worked together in many different configurations/bands, so this collaboration was bound to happen at some point! We actually got together for a random writing session just for fun, and “Stranger” (our first single) came out of that day. We all loved it and wanted to make more in that same style! The four of us have varying musical tastes and interests, but there’s a lot that we like in common. The Weird Years was born from that point of overlap. We’ve continued working together because we all feel excited about this music — it’s different than anything we’ve ever made (musically and lyrically), so it keeps us creatively stimulated. Plus, we all love spending time together so we want to hang out and keep writing and recording more tunes! With each of you having your own side gigs, what's the investment into this project? is it dependent upon reaction to the EP or are you set in stone with your answers? The Weird Years: We totally understand that each member of the band has other things going on, and we support and encourage it. That’s sort of the nature of our business— we all have to take other gigs and there’s a lot of music we want to make! Also, two of our members live in Nashville now and two are in New York, so our time together is inherently limited. We’re just willing to work on The Weird Years whenever it makes sense in all of our lives and whenever we can manage to get together. For instance, we’re all in Nashville right now for a week working on our second EP. How do you distribute songwriting? Is there a principal songwriter in the group or is everyone represented in a different way on different tracks? The Weird Years: We all share the songwriting responsibilities. Someone usually brings the seed of an idea to the table and we all work on it together, from the completion of the song to the production of the recording. How do you describe this music, and why do you feel you ended up embedding yourselves in this sound? Ie, what was the allure? The Weird Years: We describe this music as dreamy folk-pop with electronic elements. We often use surprising chord changes and lush instrumental textures, and we incorporate a lot of harmony stacks. Radiohead is a big inspiration for us. We’ve all experienced the pressure to gear other projects towards mass listener appeal, and it’s been really nice to just create whatever we want for our own enjoyment — whatever we find beautiful, intriguing, and weird! So far, our songs seem to hover around a few lyrical themes: loneliness, trying to find connection, wondering what your place is in this strange universe, and maintaining love and hope in times of desolation. We wrote our first EP over the last two years, when we found ourselves talking a lot about our current political climate, so that probably had something to do with it! “Stranger” is about feeling lost. It’s about feeling isolated on this solo journey we are all on, but how, despite that feeling, we have people in our lives and in our memories that make us feel less alone. We think of them in our darkest times, and the very thought of them brings us strength and keeps us going. No matter what chaos or darkness surrounds you, you can find respite and peace in the memories of loved ones. They keep our flame burning. When Billy brought the guitar part to the rest of us as the song’s first seed, it immediately evoked images and sensations of nature, specifically of a lonely journey through the woods. We used that landscape as the inspiration for the general message of the song. Getting together as The Weird Years, we wanted to create music that we love and find interesting, and we freed ourselves of any other constraints. We took our time experimenting in the studio to create lush arrangements that will hopefully transport the listener to another world. We wanted the EP to feel cohesive and like it’s own world. To do that we had the idea of making instrumentals that use and manipulate audio from the track that either just happened or the track that’s following it to make a transportive piece to lead you from one song into the next. This was the first song The Weird Years ever wrote. It started as a song Bess had been working on and she brought it to Billy before the idea of The Weird Years even was a thing. Lyrically the song is about finding someone you love and feeling like the only thing that could separate you is time, and the melancholy that eventually it will. We wanted the music to feel intimate and small. Sort of like as if you were watching a time lapse of two people in love sitting in a cozy living room as time passes from seconds to hours to weeks to Years. Body and Brain was in many ways the most meticulously crafted song off the debut EP. The initial chord progression was explored in various instruments and we tried to highlight all three main vocalists in this song and give the song a very unique and spacey vibe while also letting our selves be a little more aggressive musically. Lyrically this song is about relationships and connections between people. It explores the idea that no matter how connected you are with another person, you are still separate entities in both a physical and emotional sense. The song is about that and about the forces that govern the proximity of both of those things throughout time. New Ever After is an apocalyptic love song. Billy brought the group this very sunny chord progression, but we got deep into conversation about global warming the day we were writing together. We rolled with it and ended up loving the juxtaposition of these dark lyrics with what might sound like a happy-go-lucky instrumental soundscape. The contrast conveys a sense of uneasiness that mimics how so many people feel about climate change— they know it’s happening, but the details are fuzzy. There are things they can do to help change the course, but it feels inevitable so they just keep chugging along as normal. We sing, “Tell me a different story, I want to play pretend” right at the top of the song— the situation feels so daunting to people and they (understandably) sometimes want to pretend it’s not happening. We added some surprising key changes and some spacey looped vocals to add to the uneasiness. It wound up being a love song about the end of the world, about knowing that everything is falling to pieces but still finding hope and happiness in someone you love.